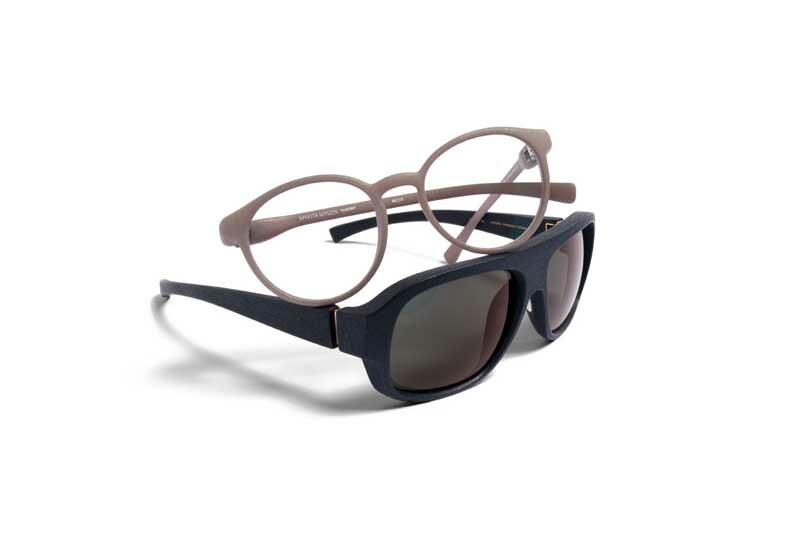 BERLIN, Nov 18, 2013/ — Just in time for the holidays, Mykita releases the latest MYKITA MYLON sports goggles collection which bring together state- of-the-art technology with avant-garde design. The TITAN & LUXON models are an extreme illustration of how far a material can be taken to its limits. The two new models ANSELME & SYLVAIN constitute a revolutionary step forward on this front; add-on side clips provide protection from the wind, and are the visionary alternative to the leather sections of 1950s alpine goggles. The accomplished fusion of design and high-tech material translates into perfect performance and makes the models a vision of future goggles. The TITAN & LUXON models are an extreme illustration of how far a material can be taken to its limits. The temples and frame were designed to make LUXON as filigree as possible. The result is one of the lightest models in the MYLON collection, and a resurrection of the flashy panto look popularised in 1980s New York. TITAN, as the name suggests, is the very opposite: amply proportioned and with crisp contours creating a no-frills look, despite the substantial material thickness. At the same time, however, this model (made from the futuristic MYLON material) is hard to match in terms of lightness. MYKITA MYLON sports goggles bring together state-of-the-art technology with avant-garde design. ANSELME & SYLVAIN constitute a revolutionary step forward on this front; add-on side clips provide protection from the wind, and are the visionary alternative to the leather sections of 1950s alpine goggles. The lenses boast top-caliber vision thanks to being made of mineral glass, known for its extremely robust qualities. 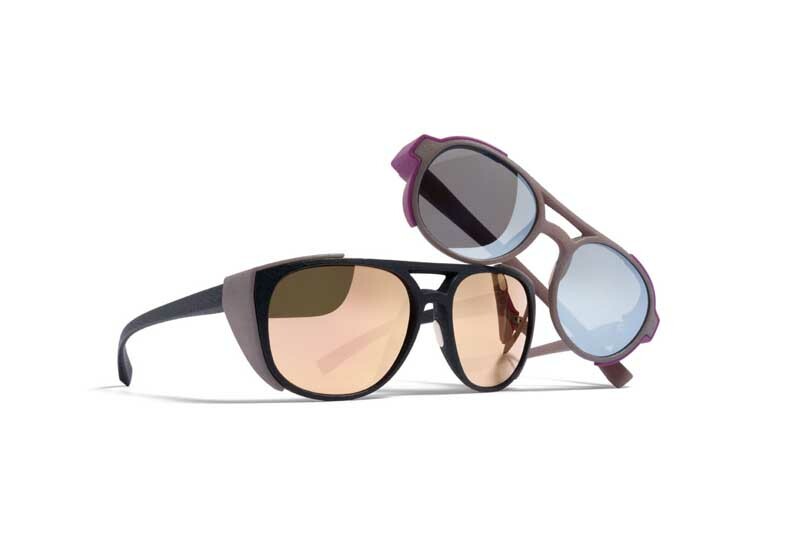 The resultantly ultra-light glasses hug the shape of the wearer’s head, while the flexible temples retreat similarly comfortably under any helmet. The accomplished fusion of design and high-tech material translates into perfect performance and makes the models a vision of future goggles. Plus they’re a signature-piece; the lenses reveal the MYKITA logo when breathed on.